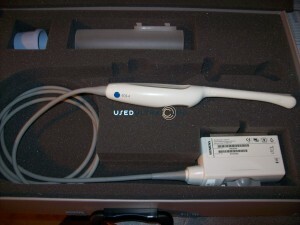 There are a lot of options when it comes to buying used ultrasound equipment online, but very few can match the inventory available at UsedUltrasound.com. We have quality refurbished ultrasound machines from virtually every manufacturer, and we carry a complete inventory of used ultrasound probes and transducers, including neonatal head probes at the best prices you will find. 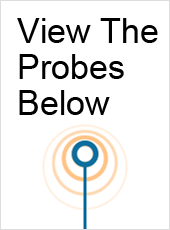 If you think that every medical equipment company is selling the same ultrasound probes and transducers, there are a few things you need to consider. First, UsedUltrasound.com is an FDA-registered company that provides a 100% satisfaction guarantee with everything we sell. You simply won’t find that kind of peace of mind with most other options, including online auctions and overseas resellers. We also have an experienced customer service team with a goal of making the buying process as smooth and affordable as possible. That means we are happy to provide a current price quote on any used neonatal head ultrasound probe for sale on our website, even if you are just comparing prices and not looking to buy right now. 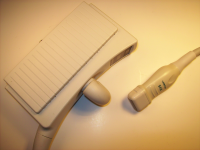 And if you have a broken neonatal head ultrasound probe or transducer, we can fix it for you. We also offer ultrasound service repair contracts so that you can keep your equipment up and running as much as possible. 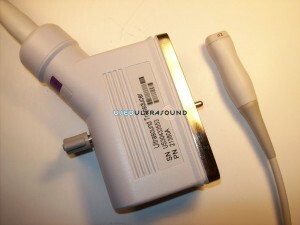 No matter what you need when it comes to used ultrasound equipment, UsedUltrasound.com is ready to deliver. Check out our inventory of used neonatal head ultrasound probes for sale and please contact us if you need additional information or would like a fast price quote with no obligation at all on your part. We want to help you save money on the purchase of refurbished neonatal head ultrasound equipment, probes and transducers. If you do not see the ultrasound equipment you need, simply contact us and we’ll find it at the best price for you.